Here's Aloe's debut album on the Stones Throw label! Very soulful...The music speaks for itself. Aloe Blacc is a one-man everything team. You can hear it in his production, in his rapping, in his singing...Some people aren't really feeling Aloe as much since he switched his styles over to the more soulful singing type, but this is beautiful music right here. Come along on this journey of soundscapes that our friend, Aloe creates. Good times. Good music. Don't sleep. 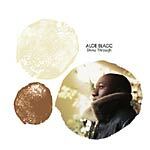 All songs produced by Aloe Blacc except: 2 by Oh No, 5 co-produced by J. Rawls, 13 by Madlib.